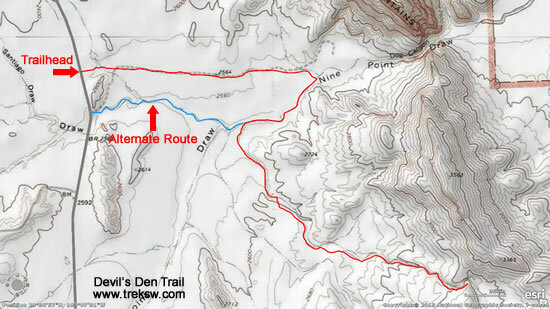 The Trailhead for Devil’s Den Trail can either be the Trailhead for Dog Canyon Trail, or you can start it a little further South (as recommended in Hiking Big Bend National Park by Laurence Parent), which we won’t cover here as we started our hike at the Dog Canyon Trailhead (we did both areas in one hike). Difficulty: Moderate. The last half of the trail is mostly up-hill and a large part of the trail is difficult to follow. 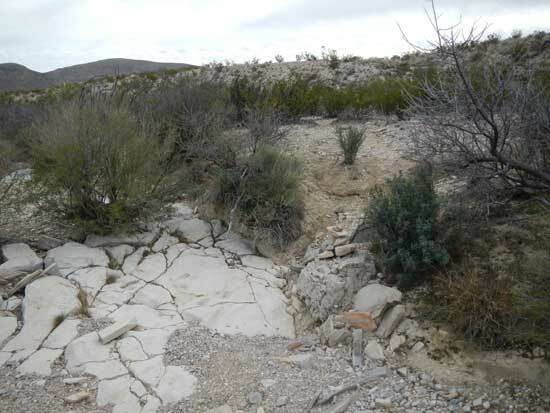 USGS Topos: Bone Spring, Dagger Flat. 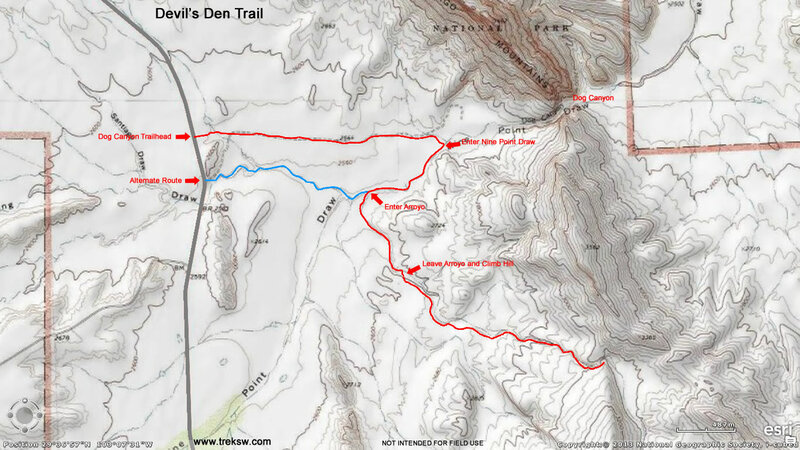 Once you get to the trailhead, you should be able to see Devil’s Den as a zig-zagging slash through the hills to the East, just South of Dog Canyon. 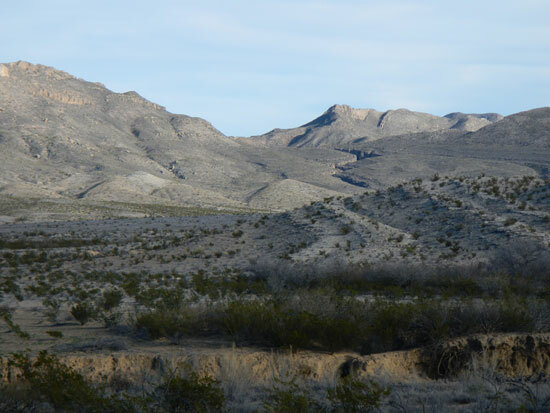 The trail from the Dog Canyon Trailhead to Nine Points Draw is very easy to follow. Just keep an eye out for the rock cairns if the trail gets faint. 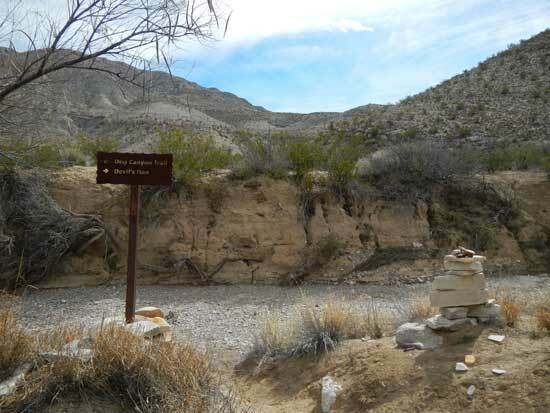 Once you reach Nine Points Draw, you’ll see a sign pointing to the left for Dog Canyon and to the right for Devil’s Den. Enter the creek and hang a right. 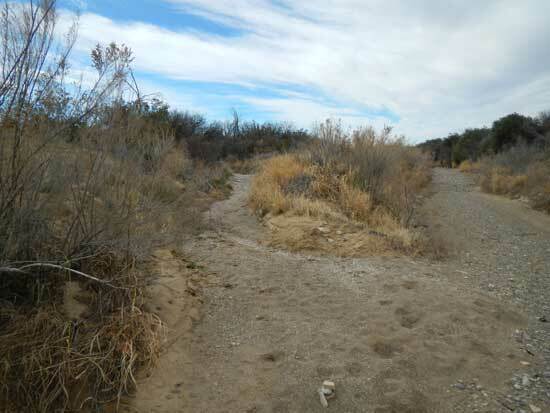 You’ll need to travel down Nine Points Draw about half a mile before reaching an arroyo angling to the left. There should be a small rock cairn marking the spot (29.618213, -103.128032). Follow this dry creek for about half a mile and then you’ll need to climb out on the right hand side. Keep an eye out for a small rock cairn marking the exit (29.612405, -103.125302). Once you leave the creek the trail is very difficult to see. Rock cairns will help, but can be hard to find. Keep angling toward the rise in front of you. There will be a faint trail leading up the side (29.611964, -103.124921). After you get over the rise, the trail will still be faint, but you shouldn’t have too many problems at this point. 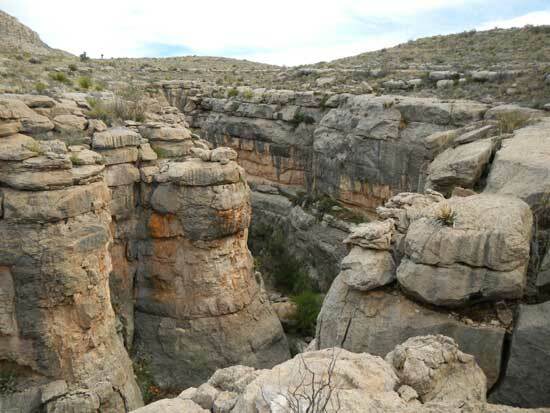 It will lead you around the South rim of the canyon, which will get deeper and deeper as you move along. 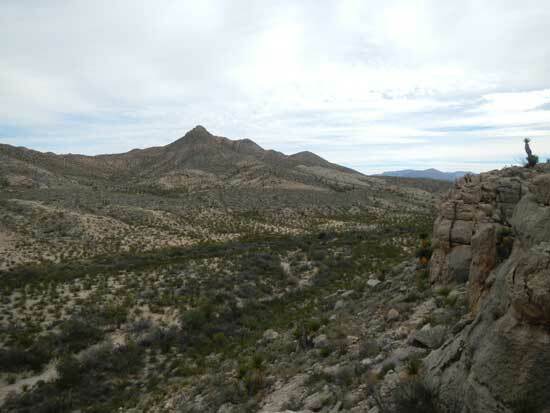 If you are afraid of heights, this might be a tough trail for you. At some points the trail gets very close to the canyon rim. 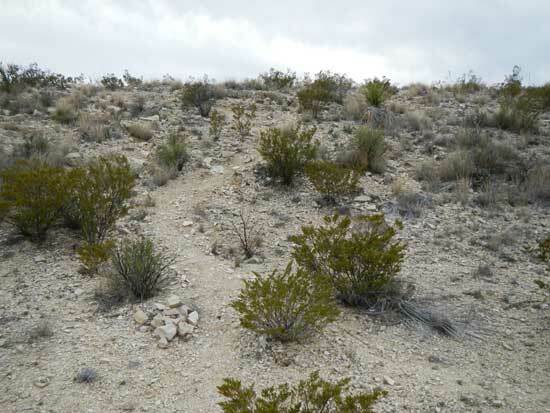 Once you reach the end of the trail, you can keep going up hill through some of the rocks and brush to reach the top of the rise. Here Devil’s Den ends and opens up into Dagger Flats. If you aren’t comfortable with some light route-finding, this might not be a good trail for you. 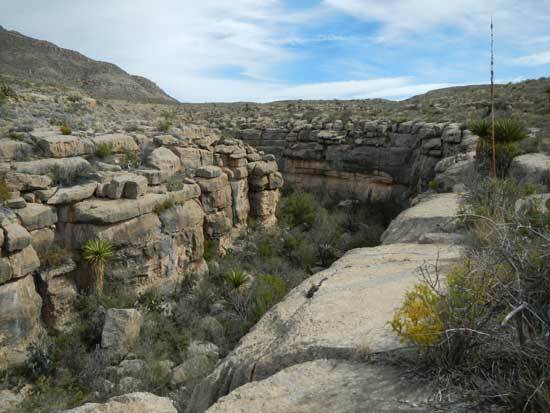 If you do go on Devil’s Den Trail, we recommend taking a copy of Hiking Big Bend by Laurence Parent as a trail guide. You can get it at one of the visitor’s centers at Big Bend, or order it on Amazon.com .